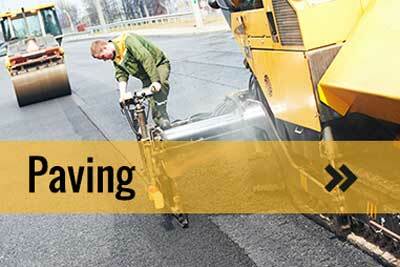 Rely on our skilled paving staff to complete any paving job from small patches to large parking lots and streets. We will even work year round! 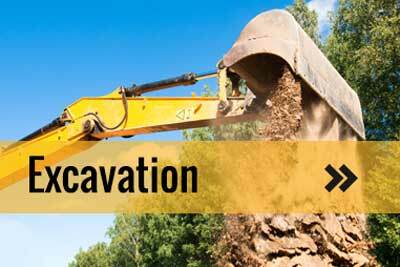 Reinforce your storm drains, running tracks, tennis courts, roadways, driveways, and other asphalt surfaces with our excavation services. Increase the lifetime of your new or existing asphalt by applying sealcoating to fill divots and keep water from deteriorating the asphalt over time. 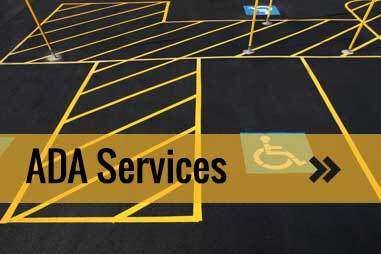 The Americans with Disabilities Act Accessibility Guidelines (ADAAG) services including parking lot marking, handicap ramp installation and other requirements. 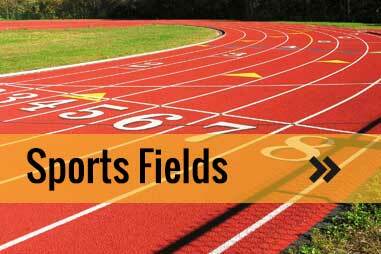 Sport fields and track construction including soccer, basketball and tennis courts. Modern running track surfaces are durable, resilient and even UV resistant. We do it all. Experts in Extruded Concrete curbing, new slabs, sidewalks, ect. Hal’s can meet all your concrete needs. We work with the weather to offer year round concrete service. 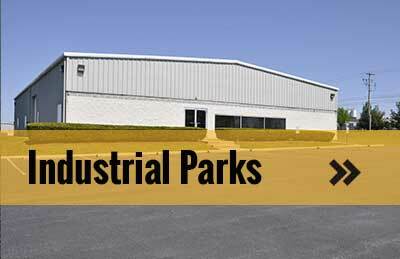 Industrial parks concrete services are crucial to the success of the area economy. 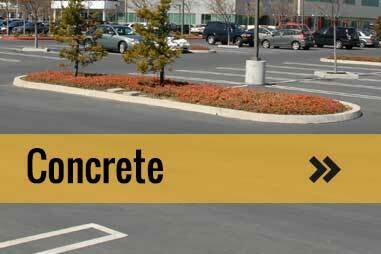 Hal’s Construction has been providing industrial parks paving and commercial concrete services for more than 40 years. 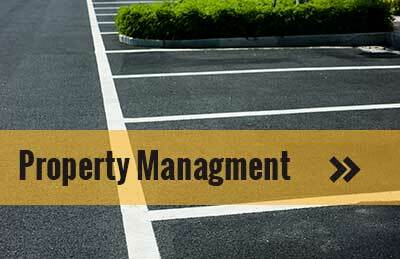 Whether you manage a single business, or a property that houses many businesses, keeping your parking areas maintained helps command higher rents, better tenants and better initial image of your property. Turn to the experienced services of Hal’s Construction, Inc. for your paving needs. A family-owned business, Hal’s Construction, Inc. can provide you with experienced, loyal employees who provide quality work in a variety of services. We provide year-round paving services—summer or winter, rain or shine. During the winter months, we work on good weather days so we can provide you with top service. Hal’s Construction, Inc. is focused on quality of work and meaningful customer relationships, providing specialty services to your specific needs. With Hal’s Construction, we see our employees as one large team aiming for the same goal. Our employees are not afraid to help each other when one crew is done with a task and the other crew is still finishing another task. With a low turnover employee rate, we are proud of our experienced, dedicated employees. This, in turn, allows us to provide the best quality and custom services to you. Whatever you need done, whether large or small, we can provide the same standards of experience, quality, and professionalism we bring to every project. Your project is important to us. 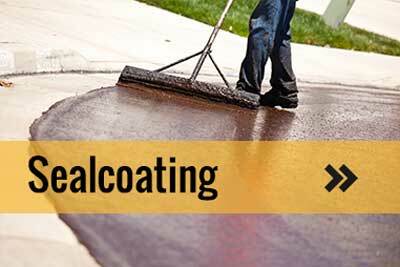 Let us use our years of experience and reputation for quality for your paving project. We want to establish a relationship of trust with you. Our trucks and equipment are always maintained and cleaned for each job. Our employees are professional, honest, and punctual. We know how important first impressions are, and we want to impress you. At Hal’s Construction Inc., it is our goal to serve the community with quality workmanship and superior customer service, while providing a safe working environment for our skilled specialists. Our employees’ experience and commitment to service excellence sets the bar for commercial and residential paving, excavation, and construction work. So whether you need a driveway or parking lot paved, call Hal’s Construction today at (503) 226-4999 for paving construction in Oregon City, OR. You may also fill out our contact form on the Contact Us page.